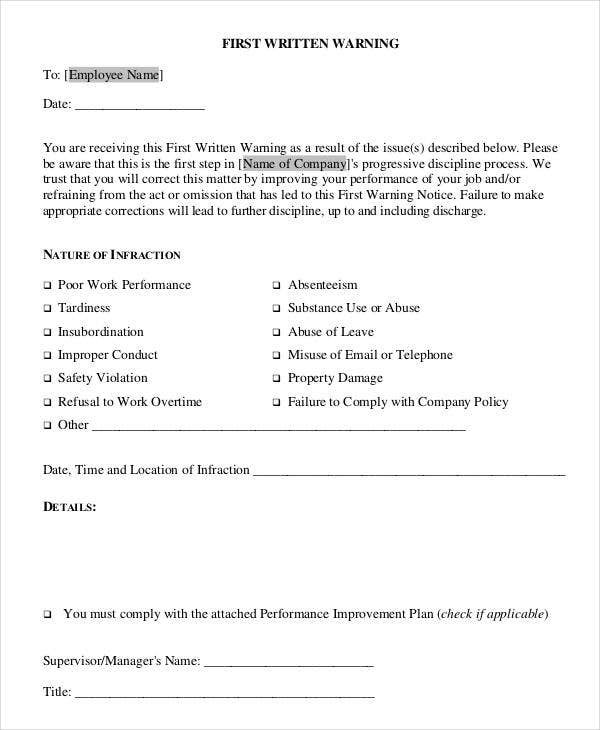 First warning letters are being given to employees who have involved themselves in an issue, process, or an event that is unacceptable with regard to the rules and regulations of the company. 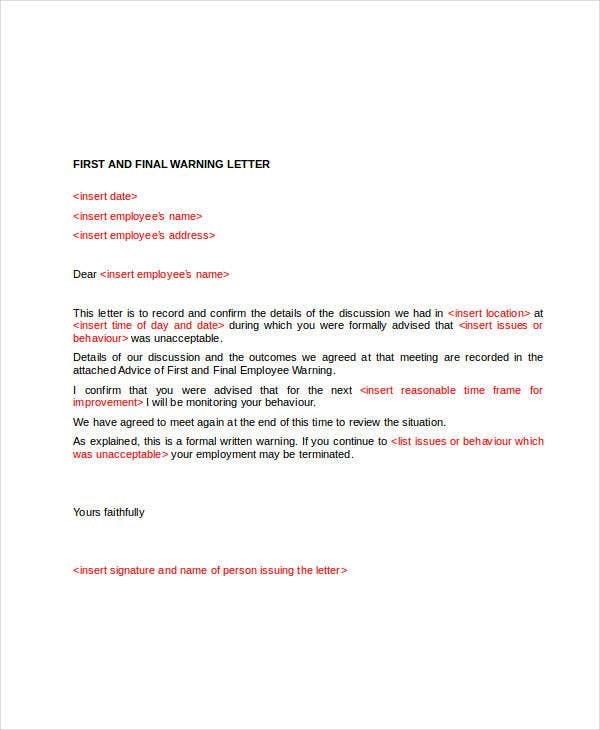 A first warning is usually a signal for an employee to not do his or her actions that have been subjected for disciplinary actions anymore. 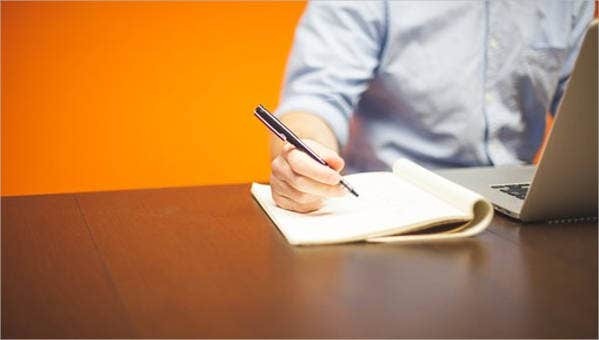 Processes for correction are being done to assure that the professional progress of the employee is being considered and that there are no issues that may arise again concerning the same actions. 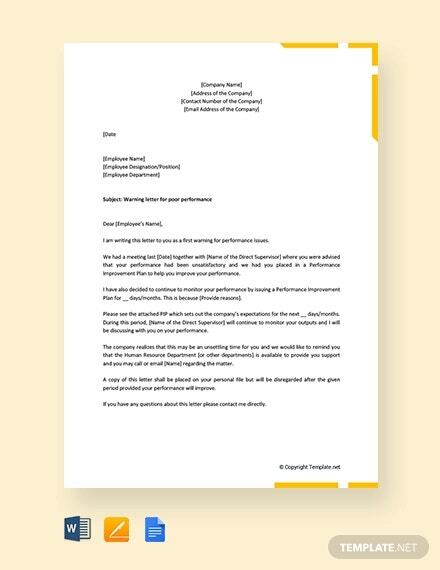 Other than our first warning letter templates, you may also download other Letter Template samples, which may be used for different letter writing purposes. 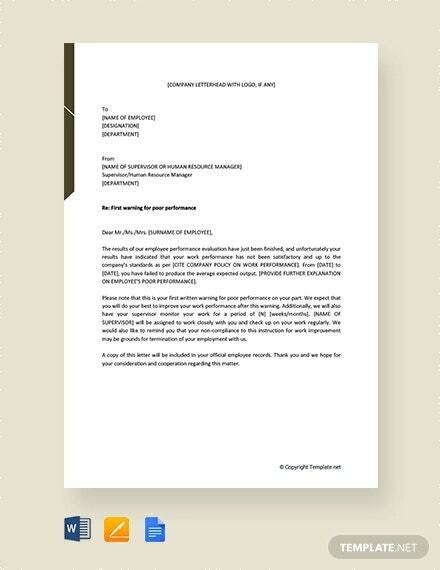 You are unable to hit the essential targets for competencies being set by the company. You have shown tardiness at work and there are work functions that you are not able to do. 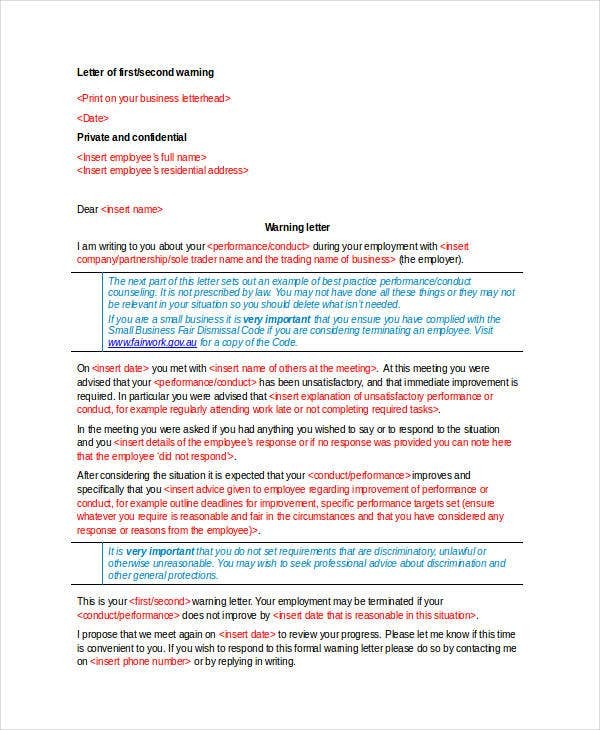 You practice absenteeism and not going to work without informing any of your superior with regards to your absence. 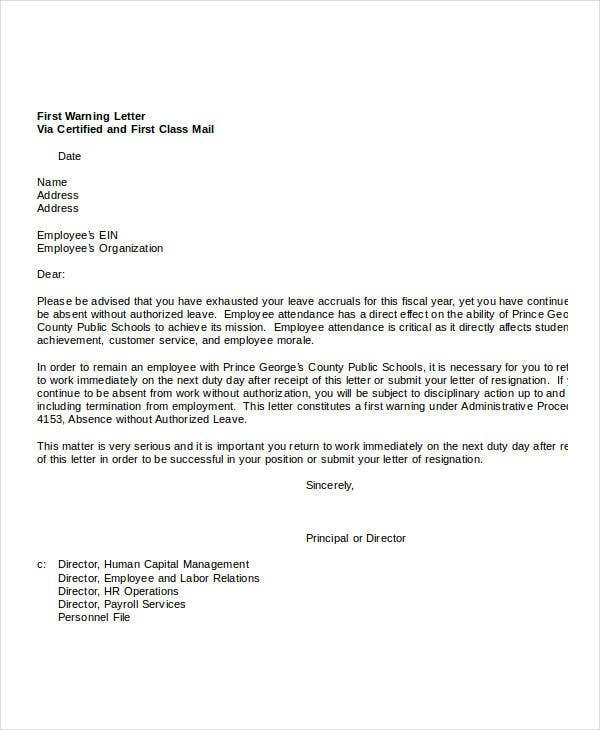 You were not able to comply with policies, rules, and regulations of the company. 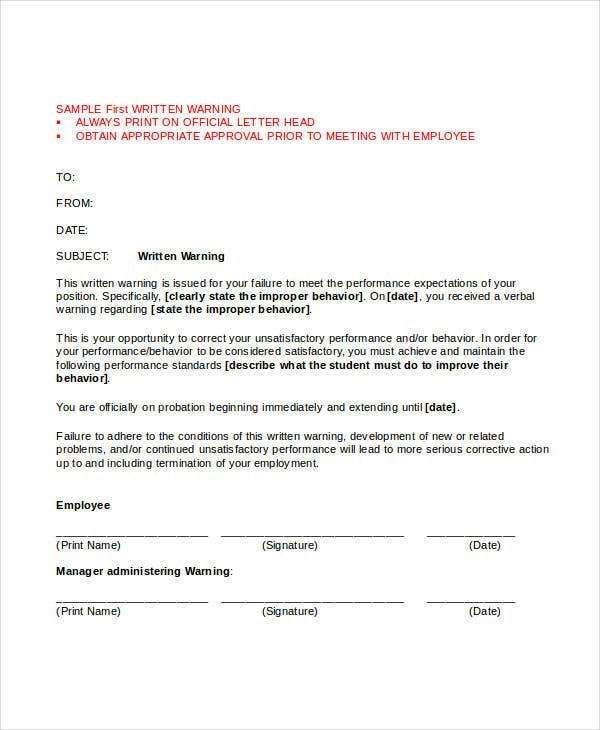 You are manifesting the act of insubordination especially if it is in front of your workmates. 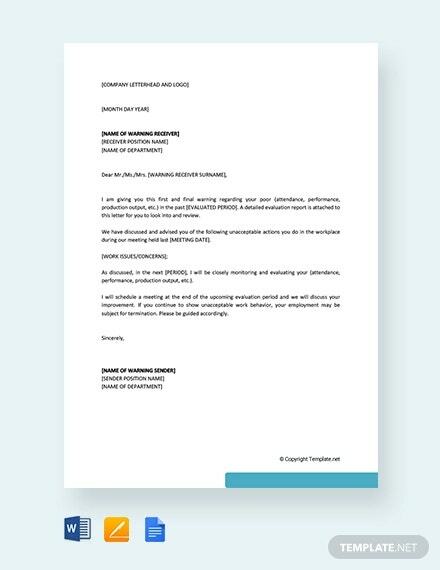 You have shown improper conduct and behavior towards the other members of the team. 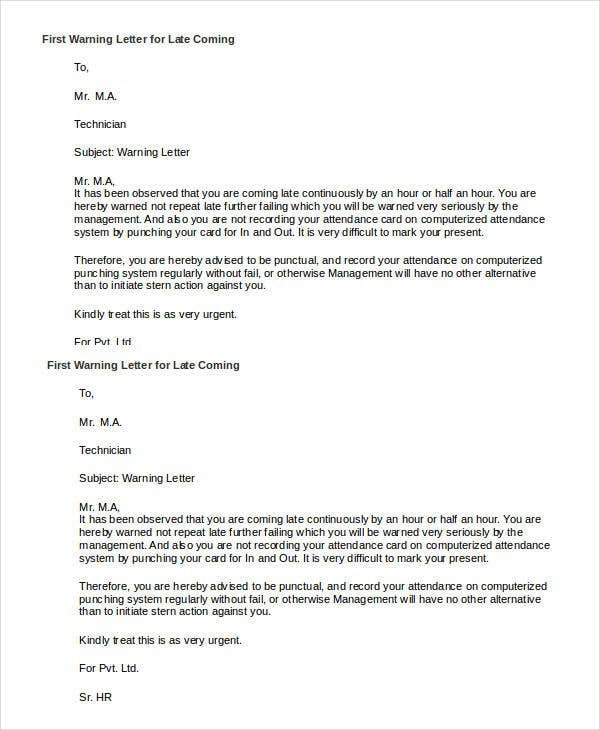 You have violated the safety and emergency measures of the company. You refuse to be given additional tasks or work on hours where extra manpower is needed without any legitimate and acceptable reason. You are under the influence of narcotics and/or alcohol during working hours. You abuse the use of your leave credits and other credentials. 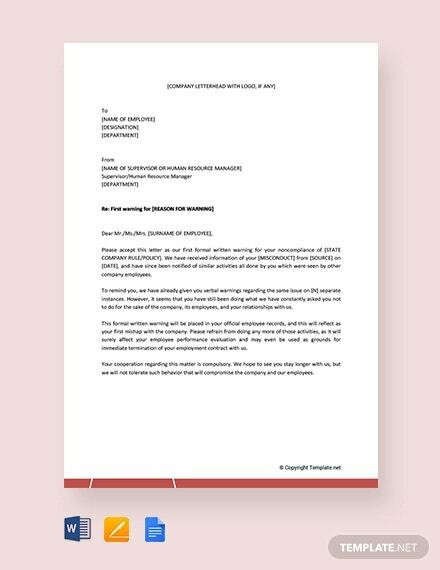 You have incurred damage to the properties of the company. 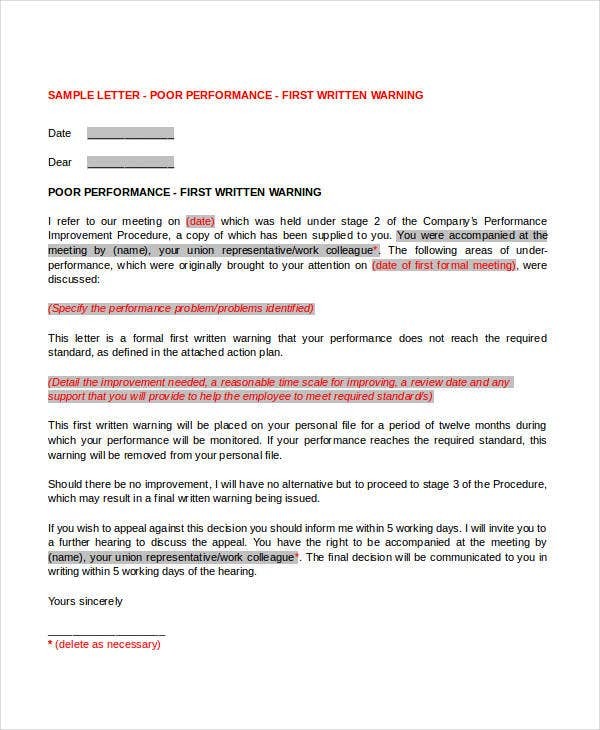 Other than our first written warning letter samples, you may also download templates of an HR Warning Letter. There may be mistakes and loopholes in the report that was made. The people involved may not have done anything wrong and their names are just included in the report to cover up for someone’s mistake. There may be details that are incorrect or just made up. 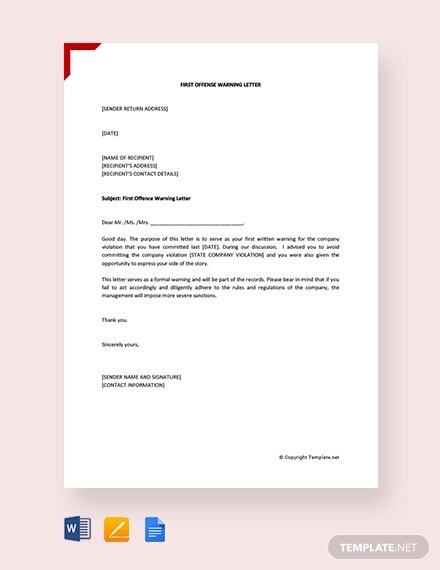 Other than our first warning letter templates, you may also download our Acknowledgement Letter Templates.